Arrows Sent Forth: Passports with Purpose: Win a $100 UncommonGoods gift certificate! It wasn't until a very casual moment a few days ago that I truly appreciated just what the gift of education means. 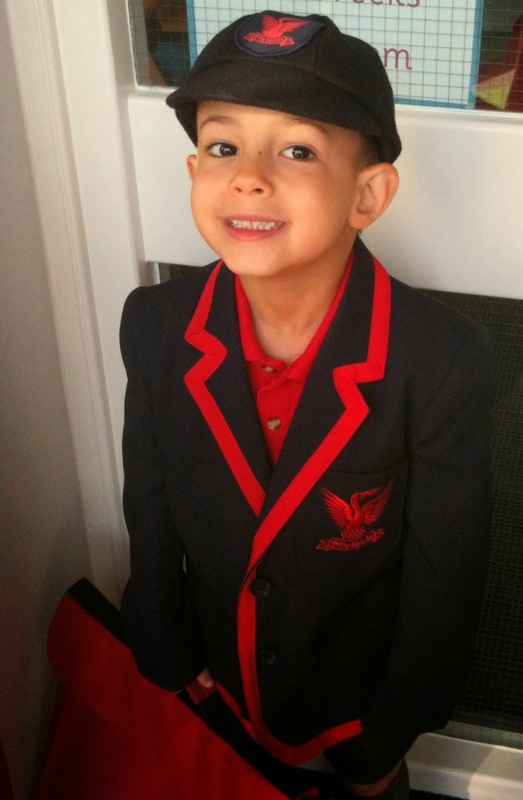 He was in the bathroom, getting ready for school, and I heard him sounding out letters. I poked my head in and I realized he was trying to read the words on some decorative containers we have on the bathroom shelf. He has seen these containers every day of his life. We've always had them in our bathroom. But it had never occurred to me that he had no idea what they meant or said until that moment. Such an everyday piece of his life was completely cut off to him until now. How much bigger and more comfortable his world became when he sounded out those words, ever so slowly. It brings tears to my eyes, quite honestly. It's the first of many discoveries he'll have, as he begins to read street signs, restaurant menus, birthday cards, perhaps even this blog someday. And oh, the books he'll read. May he love them as much as I have. I've never been to Mali. But I can imagine that the mothers there look at their children with just as much joy and pride as I do mine. I know their eyes must light up as their kids take their first steps, say their first words. Their hopes and dreams for their children's future should be just as bright as mine is for the Arrows. When I think about the many children and adults around the world who are deprived of a chance to get an education, I'm overwhelmed with despair. By making a $10 donation to Passports with Purpose (or many $10 donations), you'll be entered to win one of the fabulous prizes being offered by the participating bloggers and sponsors. It's like a raffle. Each $10 donation enters you to win the prize of your choosing. Prizes range from electronics to luggage to luxurious getaways. But I'd like to convince you that you want MY prize. Get ready, because I'm going to let you in on a little secret that will make your Christmas shopping so much easier. I'm proud to be teaming up with the online marketplace UncommonGoods. Since I first began working with them on this prize (a $100 gift certificate! ), I've had an opportunity to thoroughly explore their website and offerings. It's one of the most unique collections of products I've found... not only high quality goods, but items I never even knew existed! This kinetic sand, available here, would be a perfect way to keep my boys' love of the beach alive even when we're trapped in our house each winter. 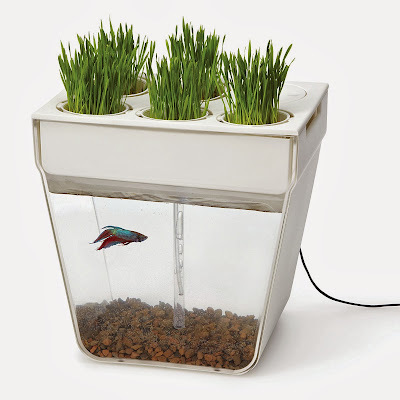 Perfect for the difficult-to-buy-for pet lover or eco-friendly friend, this aquafarm grows greens and herbs on top, while providing purified water for the fish below. Find out more here. I love travel-related gifts, and UncommonGoods has an amazing selection of globally-inspired products. Like this city skyline wall decor, or these country dish towels, or this latitude longitude bracelet. Even if I didn't have this prize to offer, now that I've discovered UncommonGoods, it's my go-to site when I'm struggling for gift ideas. If you'd like a chance to go on a $100 shopping spree on the site, or to make a donation to win one of the other amazing Passports with Purpose prizes, click here. You're going to shop for loved ones this holiday season anyway. Why not make a donation, and simultaneously be entered to win a chance to make that shopping so much easier. A huge thank you to UncommonGoods for sponsoring this generous prize. I also want to thank the Passports with Purpose sponsors: Expedia (platinum sponsor); DK Eyewitness Travel: DK Eyewitness Guides and Rough Guides (gold); TBEX (silver sponsor); HomeAway, HostelBookers, Go With Oh, and Eating London (bronze sponsors). Without their help, our goal of $115,000 would be unthinkable. *Please note, that while UncommonGoods does ship to the UK (hooray! ), this gift certificate prize is limited to those people with a U.S. mailing address only.